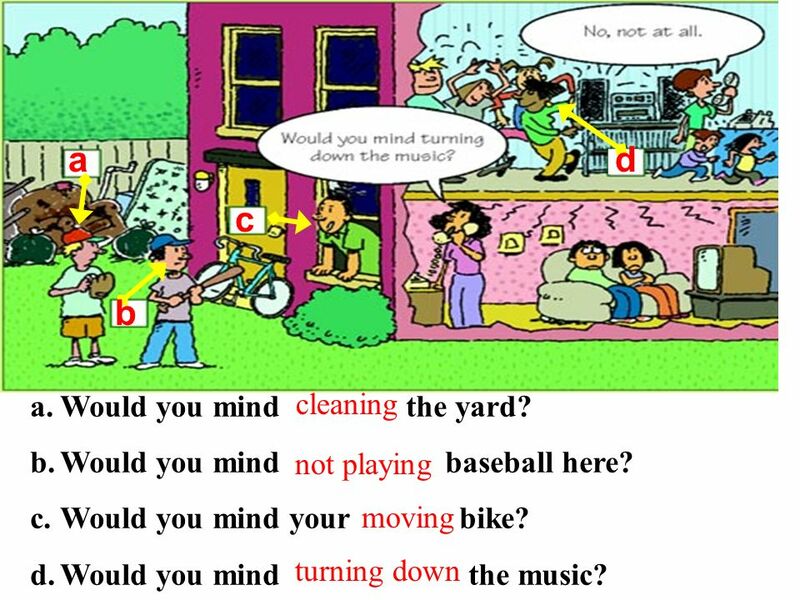 1 Would you mind turning down the music? 2 Would you mind doing sth? dishes doing the dishes Would you mind doing the dishes? No, not at all. Would you mind doing sth? 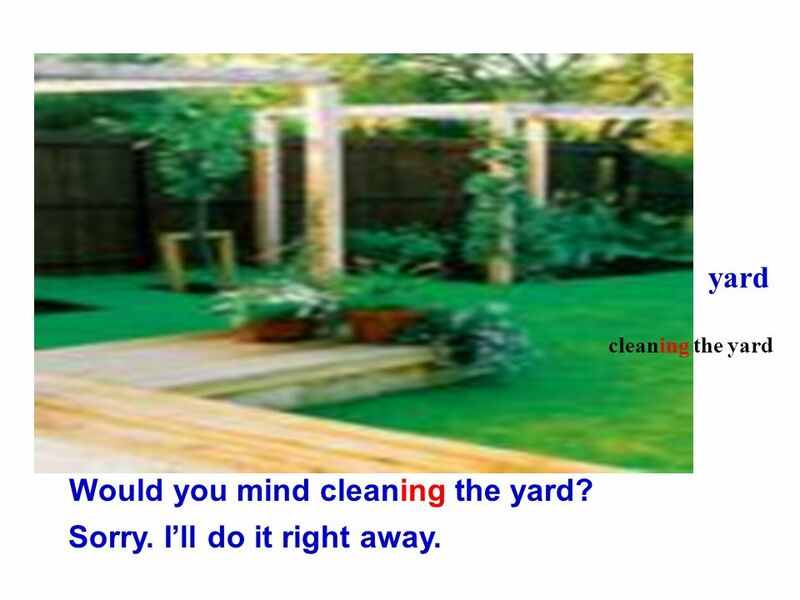 3 Would you mind cleaning the yard? Sorry. I’ll do it right away. 4 Not at all. I’ll stop it right now. 5 Would you mind not doing sth ? throw litter Would you mind __________________? not throwing litter Sorry, we will pick it up in a minute. Would you mind not doing sth ? 6 A: Would you mind moving your bike? B: Sorry. I’ll do it right away. 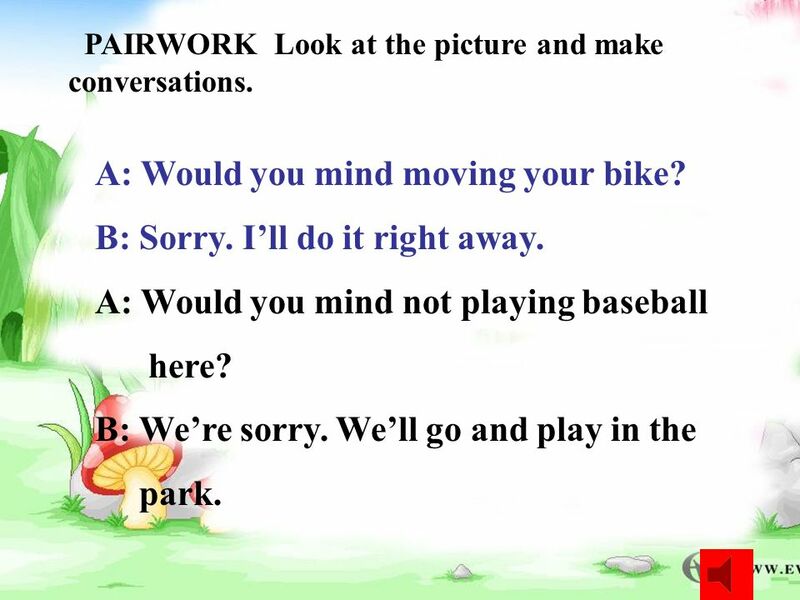 PAIRWORK Look at the picture and make conversations. A: Would you mind moving your bike? B: Sorry. I’ll do it right away. A: Would you mind not playing baseball here? B: We’re sorry. We’ll go and play in the park. remember the answers to these questions? 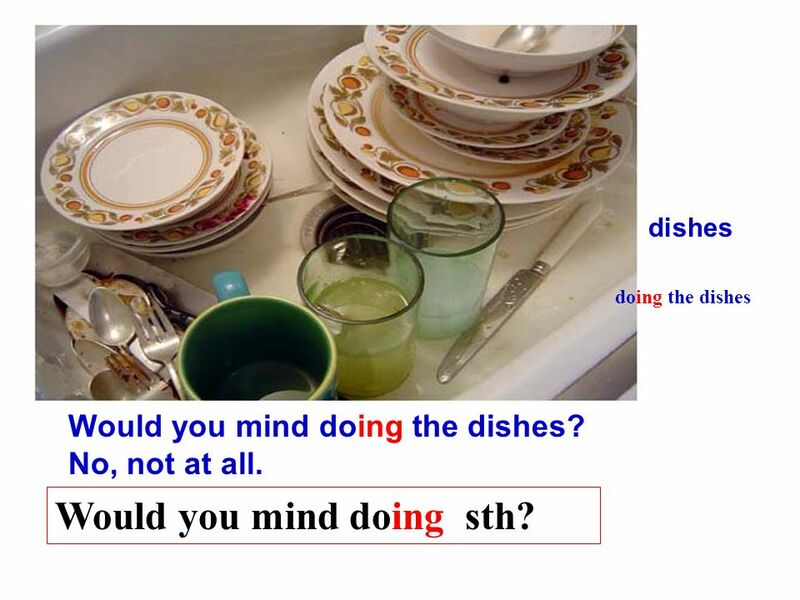 Would you mind doing the dishes? 2. Would you mind cleaning the yard? 3. Would you mind speaking more loudly? 4. Would you mind bringing me the food that I want? 5. Would you mind not smoking here? 6. 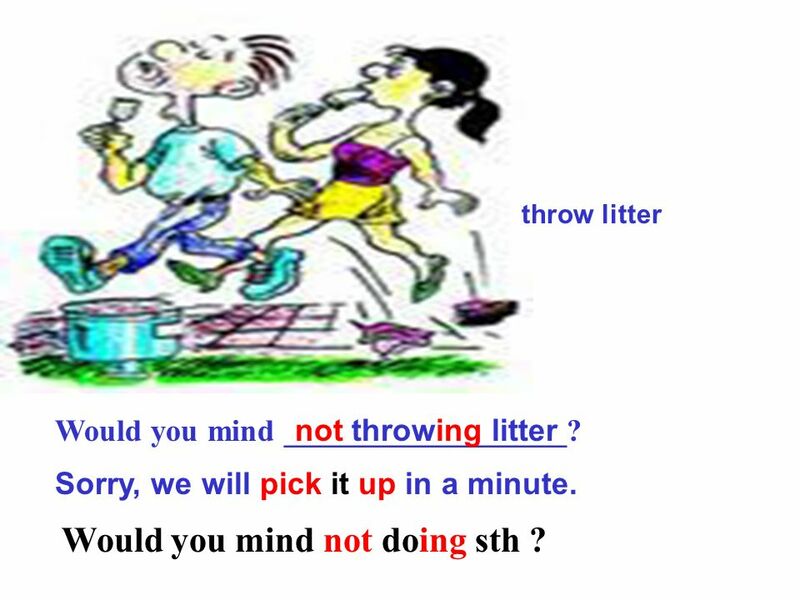 Would you mind not throwing litter? No, not at all. Not at all. I’ll do it right away. Sorry, I will speak loudly. Of course not. I will do it in a minute. OK, I will stop it at once. Sorry, we will pick it up immediately. Would you mind cleaning the yard? ______ Would you mind not playing baseball here? _____ Would you mind moving your bike? ______ Would you mind turning down the music? _____ 2 Sorry. I’ll do it right away. 4 We’re sorry. We’ll go and play in the park. 3 Not at all. I’ll do it right away. 1 No, not at all. 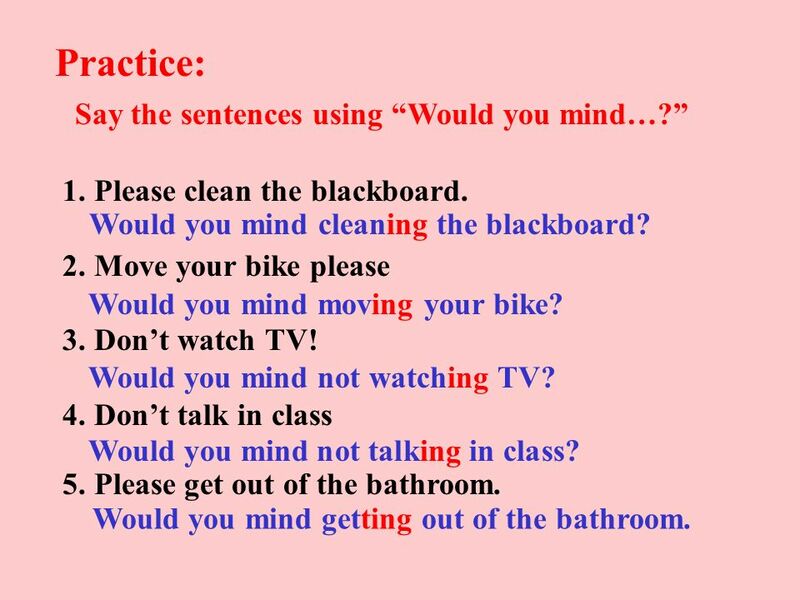 Practice: Say the sentences using “Would you mind…?” 1. Please clean the blackboard. 2. Move your bike please 3. Don’t watch TV! 4. Don’t talk in class 5. Please get out of the bathroom. Would you mind cleaning the blackboard? Would you mind moving your bike? Would you mind not watching TV? Would you mind not talking in class? Would you mind getting out of the bathroom. 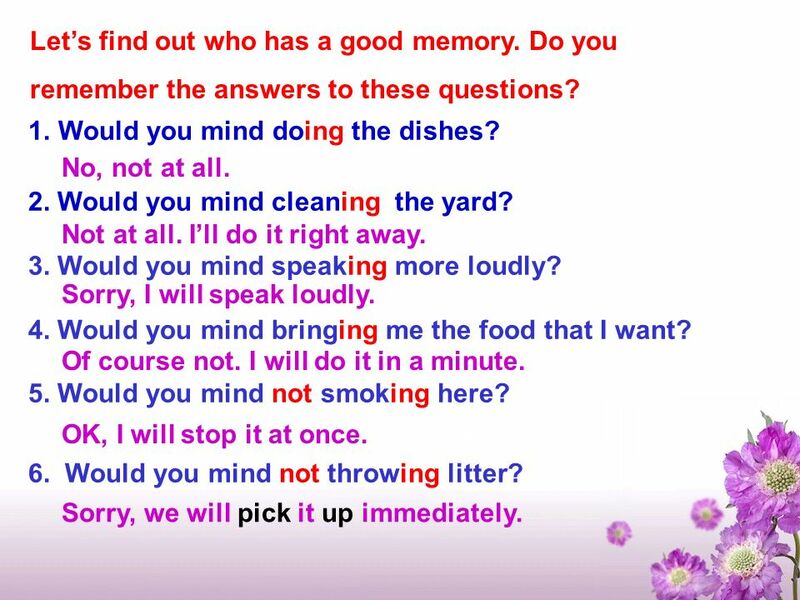 12 Would you mind doing sth. 表示礼貌的请求得到许可的用语。“请你做…你是否介意？”、“请你做…好吗？”， 是一种比较客气的表达方式。 Eg. Would you mind opening the window?你介意打开窗户吗？ 如果要表示“请你不要做…你是否介意？”、“请你不要做…好吗？”，只需在doing 前面加not。 Eg. Would you mind not sitting in front of me?请你不要坐在我前面好吗？ 应答用语： 如果同意表示不介意时，可用如下用语来表达： Certainly. / Of course not. / Not at all. / No, not at all 如果不同意表示介意时，常用“Sorry / I’m sorry.” 并陈述某种理由来表示拒绝或反对。 Eg. -Would you mind turning off the light in the room? I’m sorry. But I haven’t finished my homework yet. 13 Ⅶ.Homework. 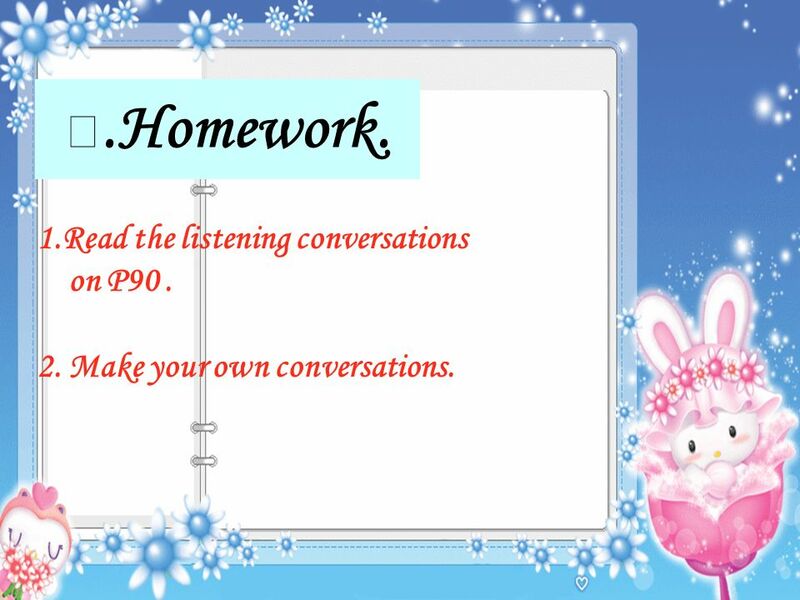 1.Read the listening conversations on P90 . 2. Make your own conversations. 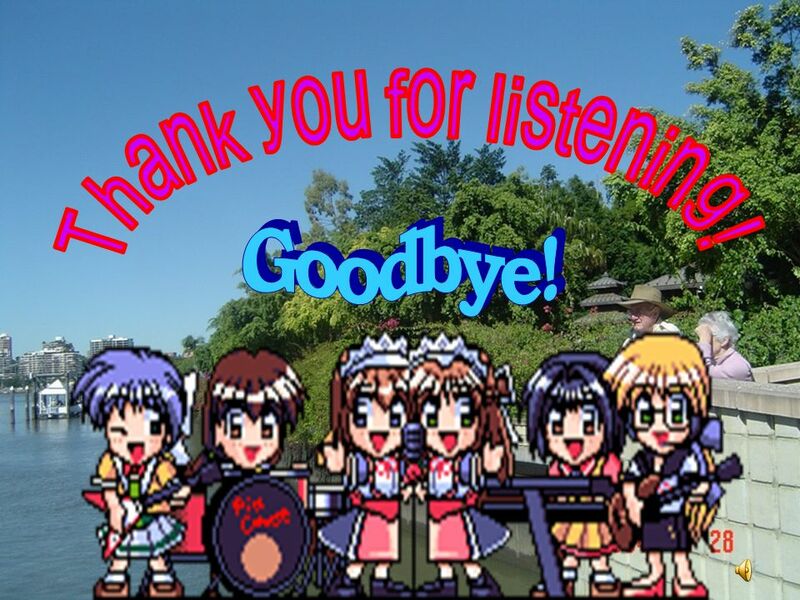 14 Thank you for listening! 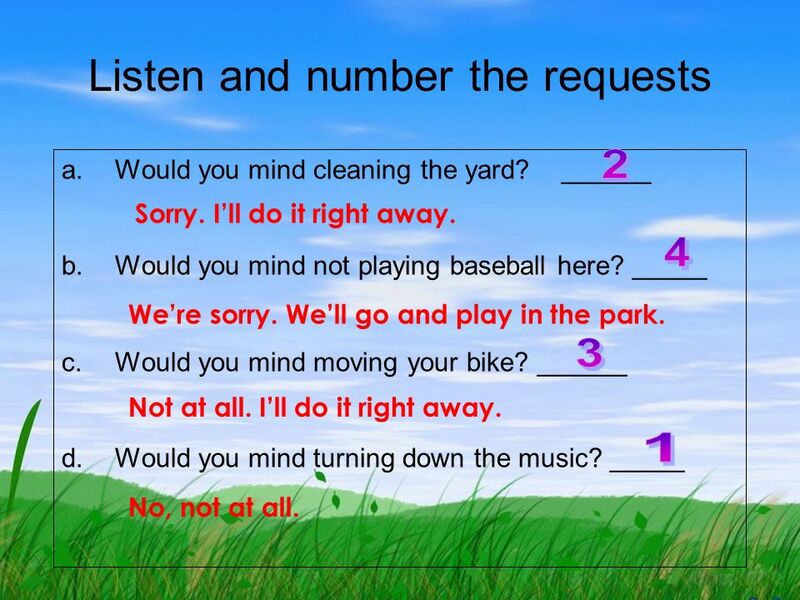 Download ppt "Would you mind turning down the music?" Unit 1 I usually play basketball Module 6. My name is Tom. Im ten years old. Listening Have you ever been in the middle of a conversation when the person you are talking to just gets up and walks away? Or fiddles in the chair? Or. Would you mind turning down the music? Lead-in I think it is a little cold in our classroom, and I want to ask someone to close the window. What can. 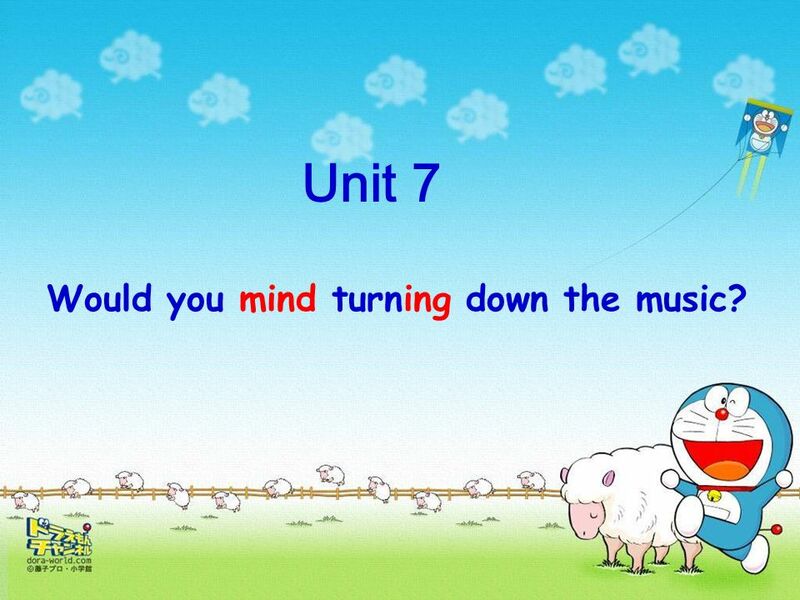 新目标 八年级 ( 下 ) Unit 7 Would you mind turning down the music? 赣州市赣县大田中学 廖惠 (sectionA 1a—1c) What is the boy doing? He is swimming in the river. It’s dangerous. So, what should we say to him? Unit 7 Would you mind turning down the music? Discussion: I think it is a little hot in our classroom and I want to ask someone to open the window. What. 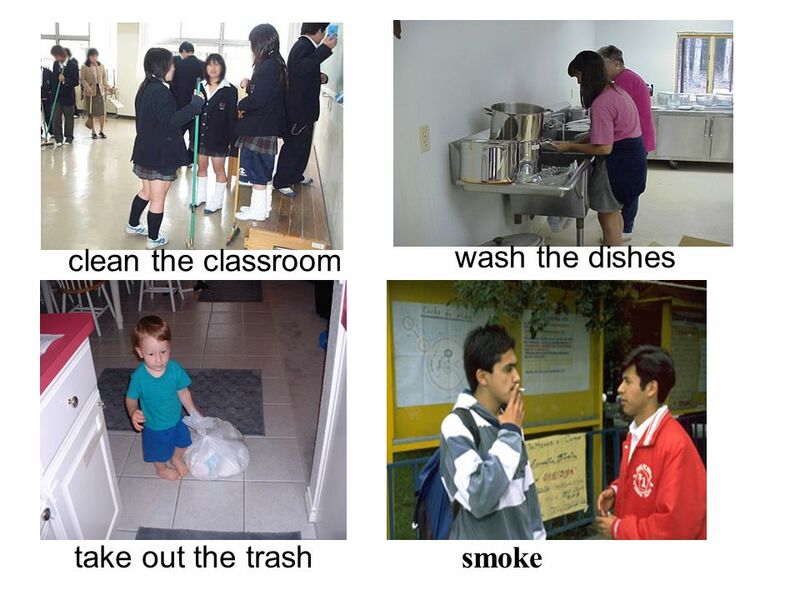 (Class Room Commands). I have one question. How do you say… ? Classroom English Jeff Wang Jeff Wang Yueyang Radio and Television University. Run Why do you run, why do you hide, Oh don’t you know I just, I just want to be with you, To be with you.